With the passage of the Tax Cuts and Jobs Act at the end of 2017, several provisions of the tax code changed considerably. From tax rate changes to the elimination of many deductions and a big increase in the standard deduction, many taxpayers and preparers are still wrapping their heads around the sweeping reform bill. One of the most significant changes you’ll see is the Form 1040 itself. 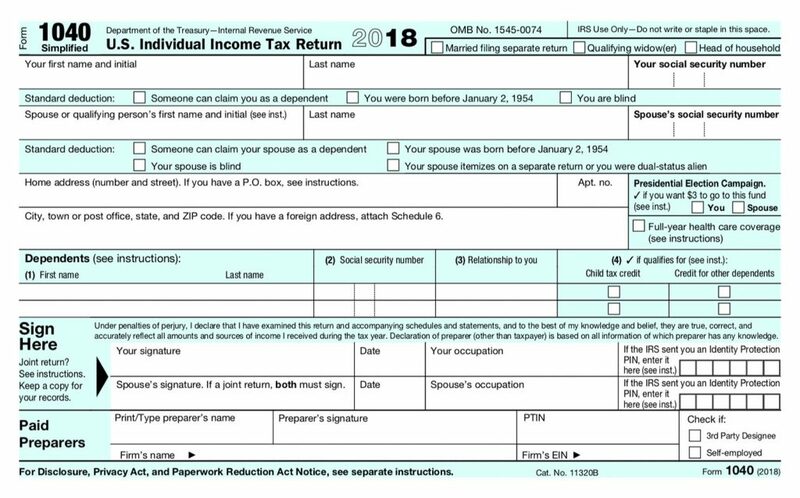 The new, shorter 1040 is about half its previous size. It starts with some of the more common income items, including wages, interest, dividends, retiree benefits and Social Security. Other income items, such as refunds, alimony, business income, capital gains and real estate income are now featured on the new Schedule 1 “Additional Income and Adjustments to Income”. Schedule 1 also lists many of the adjustments that were once on the front of your 1040. So what once took up almost a whole page, now has been condensed into 8 lines – with a new supporting schedule. Many taxpayers will be adding Schedule 1 to the list of forms they file this year, including self-employed individuals, and those with non-retirement investment accounts. After income, the 1040 lists the greater of your Standard or Itemized deductions. With the substantial increase in the standard deduction, a lot fewer taxpayers will be itemizing this year. And even with new Schedules, you’ll still need to list itemized deductions on Schedule A. After deductions, you’ll calculate your taxable income and tax. Tax amounts can come from a variety of places, including the new Schedule 2. This will list out your Alternative Minimum Tax and any taxes for healthcare premium credits. The total additional tax from Schedule 2 will be added to your regular tax and listed on the 1040. With the Alternative Minimum Tax largely curtailed under the new tax system, it’s possible you won’t have a Schedule 2. Schedule 3 will feature nonrefundable credits, such as the Foreign tax credit, education credits, and dependent care credits. These were previously listed on the second page of the 1040. If you have kids in daycare or college, own some international stock funds, or did a green energy project on your house, add Schedule 3 to the list of tax forms you’ll be filing. Schedule 4 accounts for “Other Taxes” such as self-employment tax, household employees, and the Affordable Care Act individual mandate that’s still in effect for 2018. You’ll need this if you check any of those boxes, or took an early withdrawal from a retirement plan. Schedule 2, 3, and 4 help with calculating line 15 of the 1040, Total Tax. Next, as customary with the old 1040, it will include any withholding from payroll or 1099s, and Schedule 5. Schedule 5 lists “Other Payments and Refundable Credits”, including estimated taxes you paid quarterly and any excess Social Security withholding from your payroll – something to watch out for if you switched jobs this year. After this all nets out, you arrive at the bottom of the 1040 and determine whether you receive a refund, or owe a balance to the IRS – all in 22 lines! There is a Schedule 6 as well, where you can list a third party designee to discuss your return with the IRS, or a foreign address. The new tax forms are a significant change and give a new look to the Form 1040. With old schedules like Schedules C, D, and E feeding into a new Schedule 1, it may be confusing and overwhelming the first go round. Interestingly enough, a complex tax return can potentially feature Schedules 1, 2, 3, 4, 5, and 6, along with Schedules A, B, C, D, E, F, H, and SE! At Vintage, we’re happy to prepare our client’s return if they choose, or review it should they self-prepare or use another tax preparer. 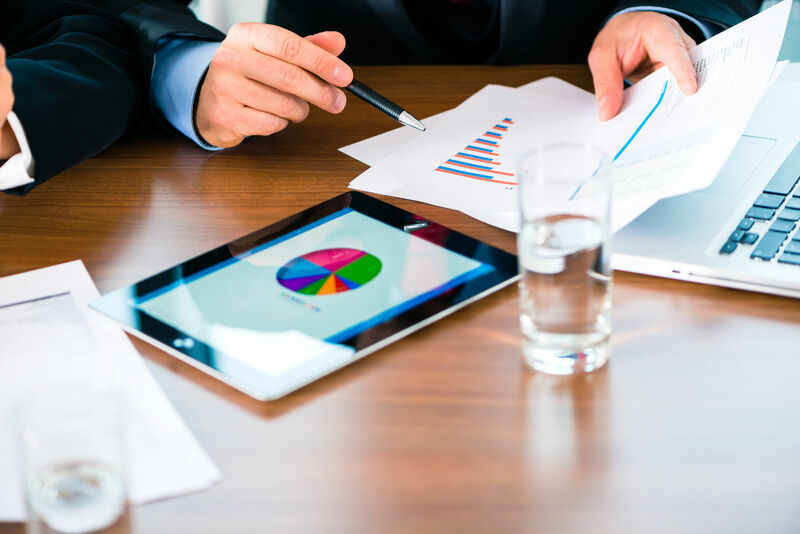 With the changes in both the tax code and forms, annual and multi-year tax planning and projections are all the more important. Feel free to reach out to a member of our tax team to learn more about how we help our clients navigate these changes. « Are You a Buncher?